Our last genetics appointment was this past Wednesday. 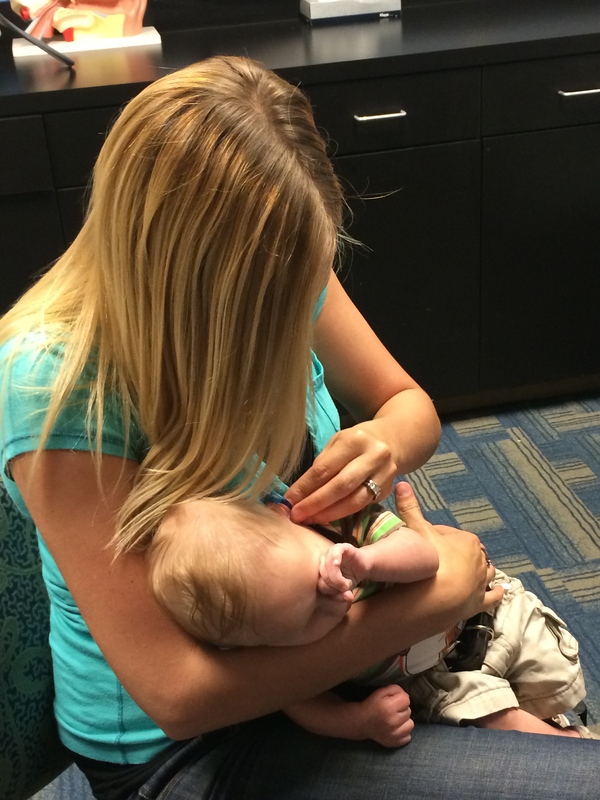 At this appointment we received several answers that only lead to more questions. The results from our most recent test came back. This test went inside every chromosome to look for abnormalities. What they found is that chromosome 10 is missing some genetic information, and chromosome 14 has extra genetic information. They have never seen a case with this combination of abnormalities, so they aren’t sure what that means for Carson. 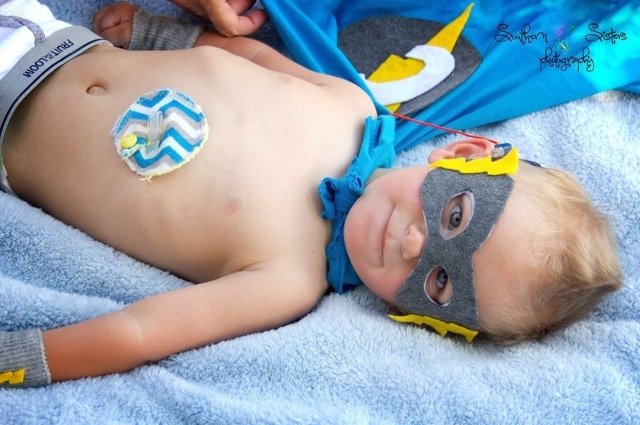 They are going to do more testing to check for a problem with glycosylation and to check for something called Cockayne syndrome. At this appointment Carson weighed in at 11 pounds 2 ounces and is still in the 0 percentile in height and weight and in the 1 percentile in head size. Carson is finally starting to eat like a baby his age should. He is slowly starting to fill out and put on some weight. Last week he was up to 11 pounds 4 ounces. This is still extremely small for his age and he still has 0% body fat and is in the 0 percentile in his weight, but progress is progress! His kidney ultrasound from a few weeks ago came back normal, his barium swallow came back clear, and his heart is pumping as it should. It’s reassuring to get all of this positive feedback from all of the testing, however it still does not give us any answers. We are still trying to figure out what is causing all of our issues. The older Carson gets the more developmentally behind he is becoming, but if he continues eating like he is now he should catch up soon enough. 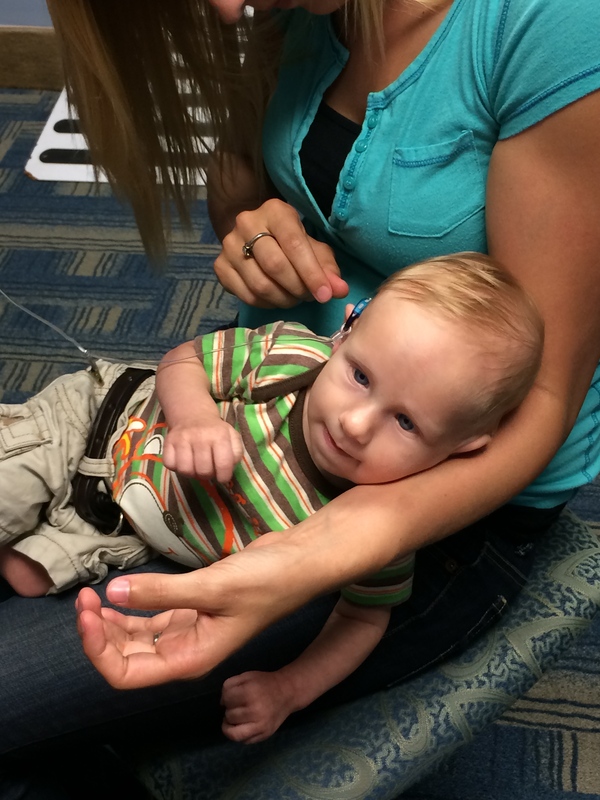 On a somewhat happier note, Carson got his first pair of hearing aids today. It has been a very bittersweet day. 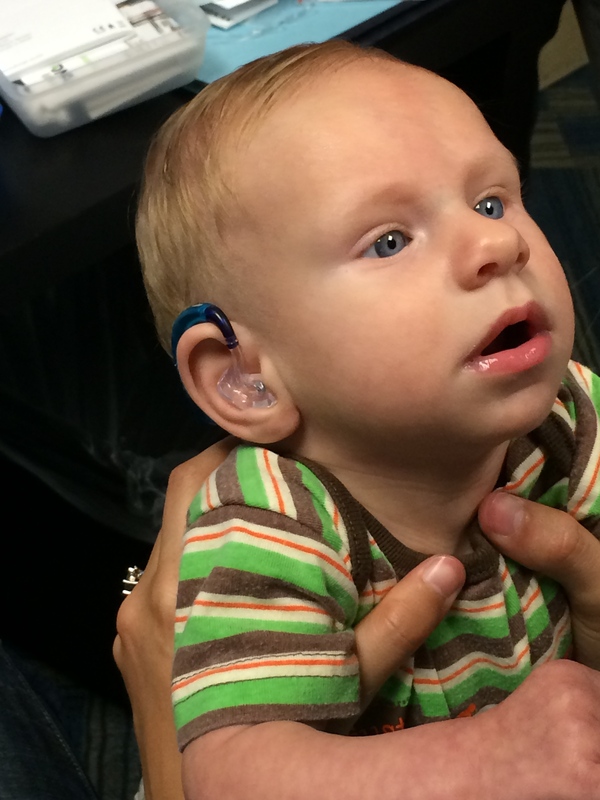 I know that the hearing aids are the first step to being able to hear, but it is going to take some getting used to. I’m terrified about the first time I take him out somewhere and someone looks at him funny because he looks different. It sounds terrible, but yesterday all I could think about was how it was the last day Carson would look “normal.” Before strangers could not tell that Carson has problems, but now that’s the first thing they will notice. He is now completely vulnerable, and there is nothing I can do about it. It has just been an overwhelming day. A lot of my initial feelings and frustrations were brought to the surface again today. Just like everything else it will just take time to adjust to it. I just have to remind myself that all of this will lead to a better future for Carson. Here are some pictures from today. 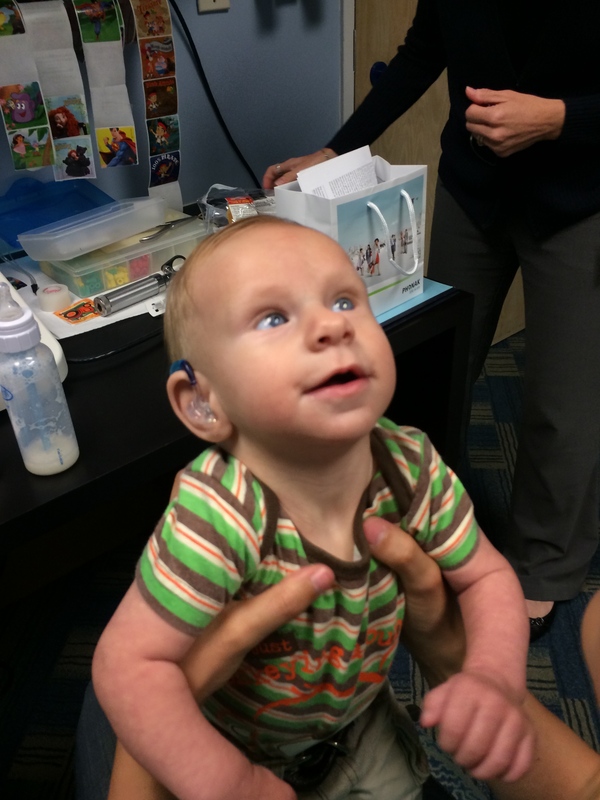 I may be slightly biased, but I have never seen hearing aids look so good!